"There Are No Grown-ups" author Pamela Druckerman shares how to embrace your age and look and feel your best. Seeks to Re here now in O Keurig gre room wit Pamela druckerman. Her observations comparing French and americanlifestyles landed her on T best-selle list w"growing upebe." Now her new "There are no grown-ups" now. You're navigating 40s. I'm an American LN new York navigating my 40s. What's biggest change peoe go through during that decade? Well, the thing about the 40s, it's not one big Chan. It's T accumulation O lots of little ces so I remember the first time I walinto a shop and the les woman gently steered me toward T anti-aging crimes and the thing is in T 40s, you --hen you see something at's wrong up until then yould thinkomeone ld do song about that whethers the government or politics now you are the someone in the 40 you kind of realize ye the n-up. A bit of aock. He intesting thing you say the French do it better how so? In America we basical try to look as young as W can for as L as W can and when stops G, wind of blame ourselves and say very unrealistically I don't C what anyone thinks. The fh idea,k like the best Ver of the age they look.people say they want to be mfortable in their own age which I find a lotore calming and once you D that K of other thinglow from there. You S that the Waye navigate marriage is also different I both cultures. W so? You know how in America you know if you go out without your R people say is there something wrong? We really eze communication and transparency. You're supposed to disclose as much as possible. In France people go out straightly. They think it's fine and tine to have separate interests and there should be mystery a marriage. I totally agree. E the bathroom door, pele. What about personal style and wh advice do you have for women in their0s when it comes to clothing choices? I ha teenage dghters who keep me grounded if you don't have at, they tell it lit is what is yourdvice abpersonal style. N the 40s a lot don't know what to wea anymore. Same kind of basicsook too Bain the 40s a you can't wear anything ironic ane. None of those t-ss so you have to know yourself, the big E to dress for the person you are. Wew what some the downsides are ort least we kn what the downsides are being 40 there are some things to lk forward to in that decade so let's give people some hope. Okay, thereat pleasure of 40 is social mediaizi. We become les neurotic ihe 40s, less cmed with our own oughts and concerns and able to see more pe. What's going on with them. A great study the show pictures of people's eyes you have to guess what TRE feeling and pe in their 40 and 50s scored the highest. You suddenly have all this information a it's a pleasure to Beith other people and als a kind of kind of reckoning wh is a pleasure too. Between who you thought you were used to be and who you really ar You realize you wen't in cool any way so Y mights well eoy theride. Pamela drucan, thank Y so much for being with us. And book, "There are no grown-ups" is outtomorrow. Check it out. 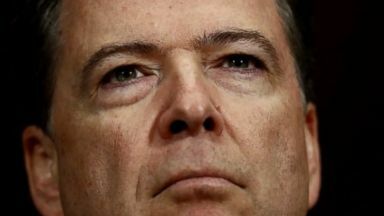 The former FBI director is rocking Washington with his new book, which includes a scathing account of his experiences with President Donald Trump. ABC News' Janai Norman reports. 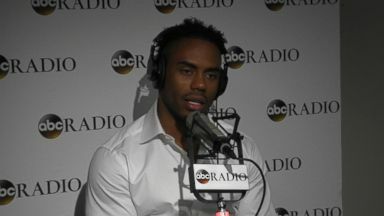 Former NFL star Rashad Jennings discusses his new book, his career, and success on "Dancing with the Stars."